I’ve always been fascinated by the Northern Lights (aurora borealis). Years ago a job took me to Anchorage for a long weekend. While it was a wonderful trip, there were no northern lights to be seen. I was hoping this visit would be different. September is not terribly cold in Fairbanks, yet, there’s still enough darkness at night (a requirement for the Northern lights). After getting settled into our hotel (a story for another time) we took a little time to relax. About midnight we threw on coats and stepped outside. “I think I can see some stars between the clouds” I said hopefully. We stood this way and that to shield ourselves from the hotel spotlights and looked to the north between the clouds. Nothing, zip. “When I was young, neighbors would come out of their houses to watch the Northern Lights. All the kids would whistle and the lights would dance. So, you have to whistle,” he stated, a big grin on his face. “Anything in particular? A special melody?” (Yes, I was overthinking it.) Robert started whistling. Soon he had us spotting them across the northern horizon and happily went on his way. Robert and I watched in fascination as gray and purple bloomed behind the clouds. The lights kept at it for a while until the cloud cover became too dense. But we saw them. Yes! The Northern lights. I kept my eye on the weather app to see if we would have a clear night. We had rented a car and knew our best bet was to drive outside of town to where there were fewer city lights. We made our plan and waited. The one clear night we had, we didn’t waste. Robert and I awoke at 2:00 a.m. and got on our gear. 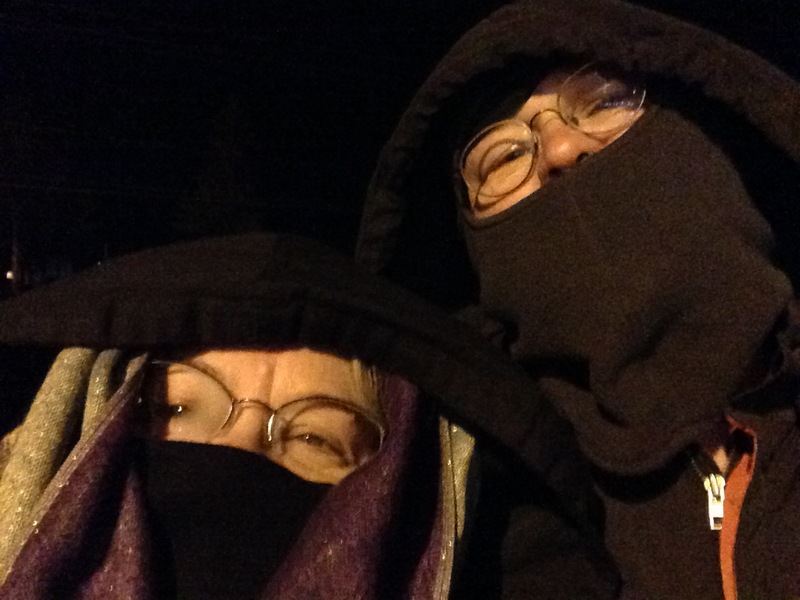 It was 28F/-2.2C when we left the motel. We drove northeast of town and found a place to wait. The stars were magnificent. We even whistled (to keep up the tradition – and our spirits). After a while we could see the band of green lights. It was a little disorienting since it looked like a green sunrise dawning over mountains that did not exist. By that I mean there was a long false horizon line of green above nothing but black. Soon a second layer of green showed above the first. We parked different places and the green bans would move to be larger or smaller. I could not take a picture with my phone, so we just enjoyed it together. I did step out of the car for a minute to gaze at the Northern Lights and the stars unencumbered by the glass and metal of a car. 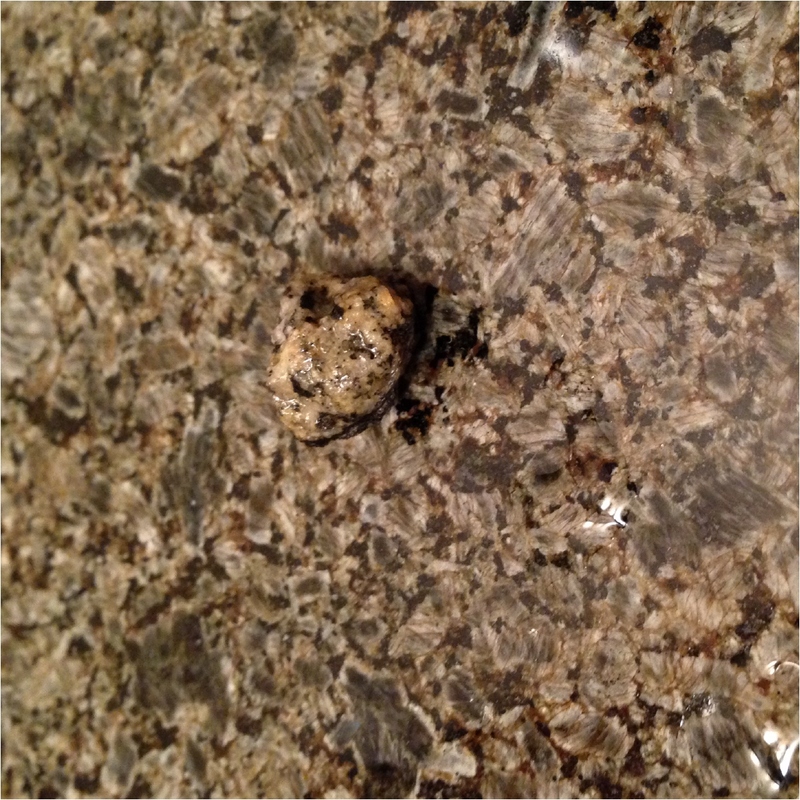 As I stepped out, my foot fell upon a little stone. I decided to take the pebble home. In a world where we tweet or photograph so many moments of our day, it was different and profound, to the experience…..just between us …and the Northern Lights. 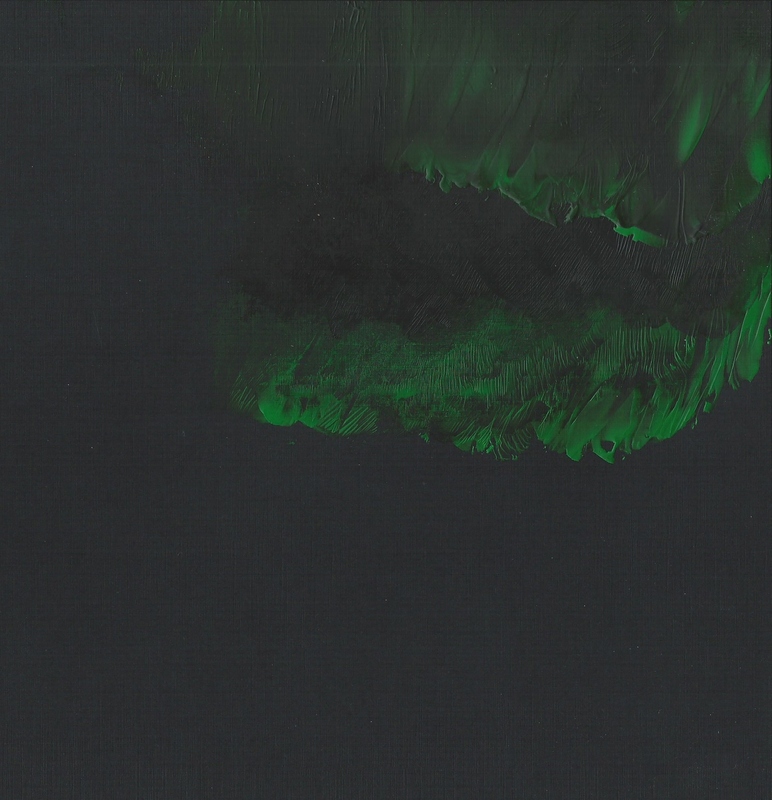 *The two representations of Northern Lights were done with my encaustic wax on black paper. **Back home I decided to look up whistling for the Northern Lights, and found many tales, breaking into two different schools of thought. For the Inuit, it was not good to whistle or clap, since the Northern lights could swoop down and carry you to the sky. In other regions, you were encouraged to whistle since it made the Northern Lights dance. It is satisfying to know I saw something I had wanted to see for a long time.